The Hurley School auditorium was filled to capacity Monday evening as family and friends of the school's young and talented musicians presented their annual Christmas Band Concert. Members of the fifth, sixth, Jr. High and Senior High school bands entertained the standing room only crowd with the joyous sounds of holiday songs. 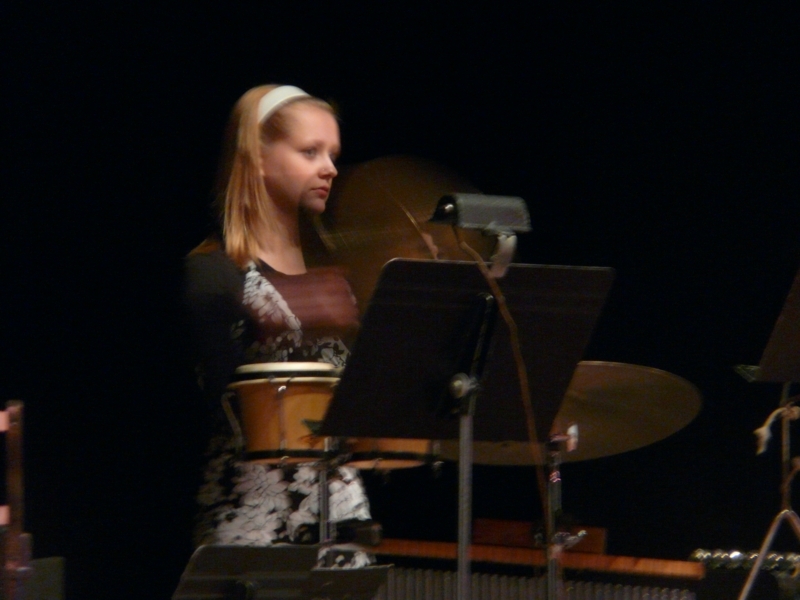 The student musicians were directed by Dan Mykkanen, Music Director. 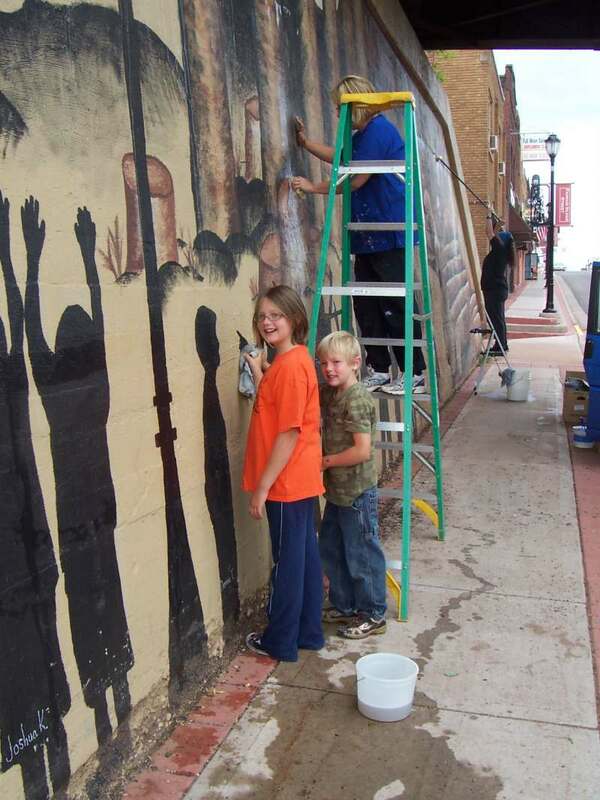 Students and teachers from the Hurley K-12 School work hard to clean off road grim from the mural that they painted just last year. The young lady scrubbing away is one of the shadows painted on the north wall of the under-pass . She has significantly outgrown her shadow from last year, but not her desire to contribute to her community. Hurley K12 teachers, Terri and Shelli are also working to to keep the school project from falling into a state of disrepair. 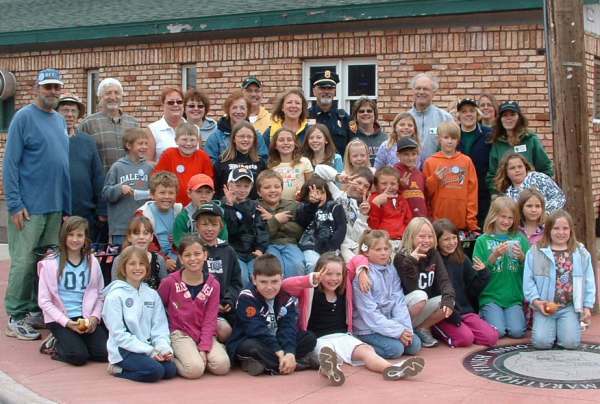 More than ninety Scholarships were awarded to students of the Hurley High School during the 2009 Scholarship Night. While several students earned more than one scholarship, many individuals earned their rewards for academic achievement. Quite an achievement for a small school district. The after school students at the Hurley School received some garden training recently from members of the Range Master Gardeners. 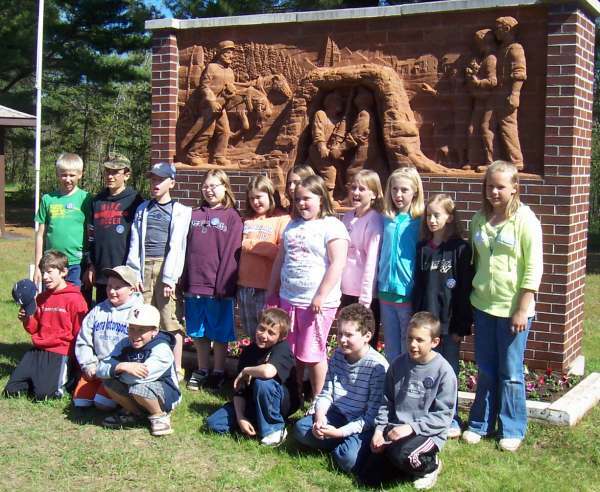 Wisconsin/Michigan Master Gardener, Lynn Adams completed another gardening project involving the local school students. 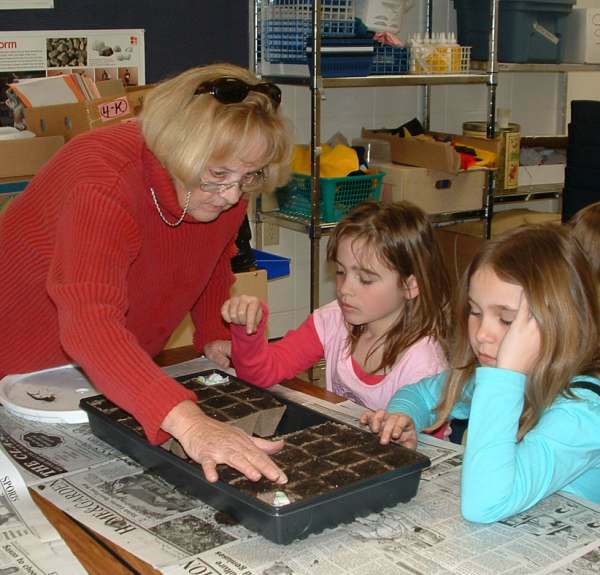 Early this spring the students of teachers Amy Swarz and Carol Saari planted tomato seeds. Since then they have been caring for the seedlings which have successfully grown into plants. The students transplanted their tomato plants in larger containers to take home for the summer. The extra plants grown by the students were also transplanted and were brought to Garden Estates to be given to the residents. Some of the students, with the help of the Master Gardeners, also planted flower planters in front of the school building. Each year, the after school students plant annuals in the urns that you see in front of the school. This year there was a great deal of wind during the planting, making the job a little more difficult. None-the-less the kids did a great job! Tuesday Hurley School third grade teachers Mrs. Nichols and Mrs. Erspamer brought their students to Silver Street for the annual planting of the "Flower Barrels"
Each year the students and Range Master Gardeners plant flowers along Silver Street, which will beautify the neighborhood throughout the summer. The program is sponsored by the Hurley Chamber of Commerce, the Lionesses and the City of Hurley. The City will be responsible for maintaining the flower until fall. Each year just before Memorial Day, the fourth grade students from the Hurley school plant flowers at the Veterans Memorial in Montreal. 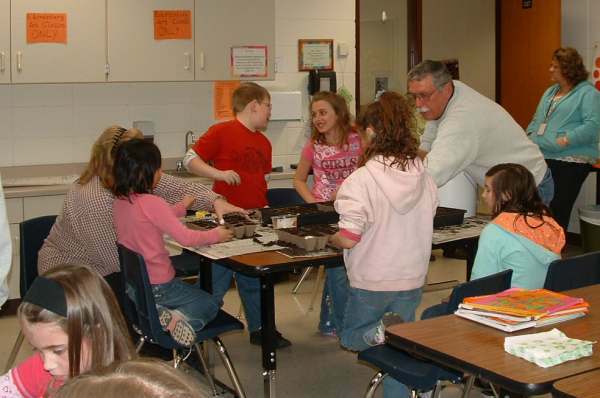 This year the students were once again guided in the project by members of the Range Master Gardeners. The project includes four separate plantings, at the war memorial , the monument to the Miners and Loggers who established the area. Flowers were also planted around the two Historical District Signs. 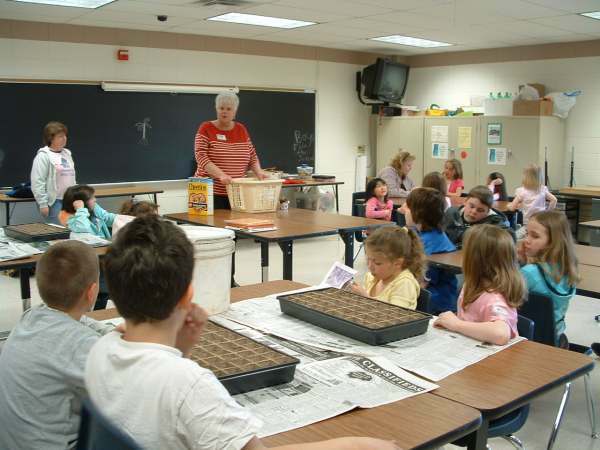 On April 15, Lynn Adams (pictured above) of the University of Wisconsin Extension-Iron County, spoke to the Hurley K-12 After School Students about the importance of plants in their lives. 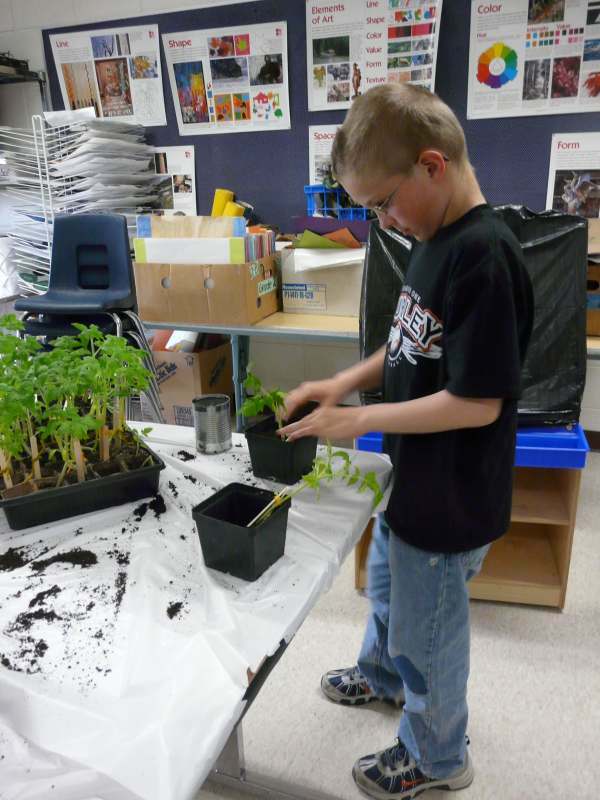 With the help of the Range Master Gardener Volunteers, the students planted Patio Tomato seeds. Later the seedlings will be transplanted and brought home at the end of May. 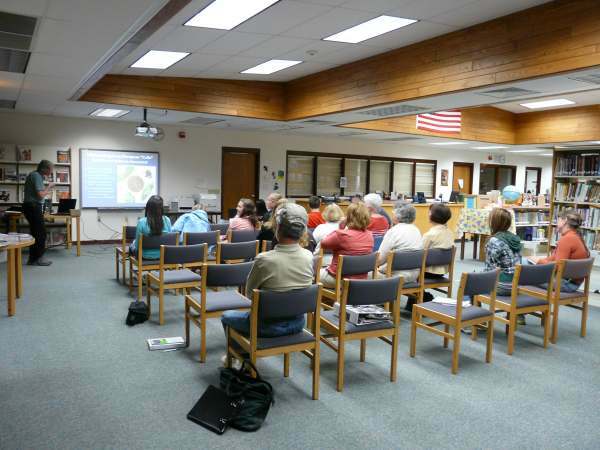 The Wisconsin DNR conducted a workshop yesterday at the Hurley K-12 school. The workshop was aimed at eradication of Purple Loosestrife an invasive plant through the use of volunteers.